Today I'm off for a week of fun at Girl's Camp! In the midst of the frenzy of planning and packing I managed to squeeze in the first two blocks for my pinterest sampler quilt. So this week it's a two-fer. This first block is one you've seen before. 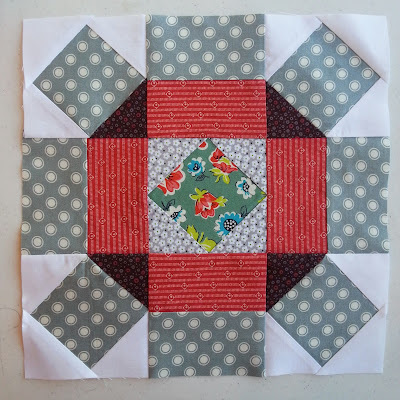 If you recall it's the block I made for the May edition of the Sew Pieceful Swap group. I made my block 12.5 inches but my pin is for a tutorial for a block that finishes at 10.5 in. Besides the size difference I made one other change. I decided to use a solid strip of fabric on the star points rather than squares. I just like the cleaner look. My second block is one I've pinned in various forms and goes by a few different names. 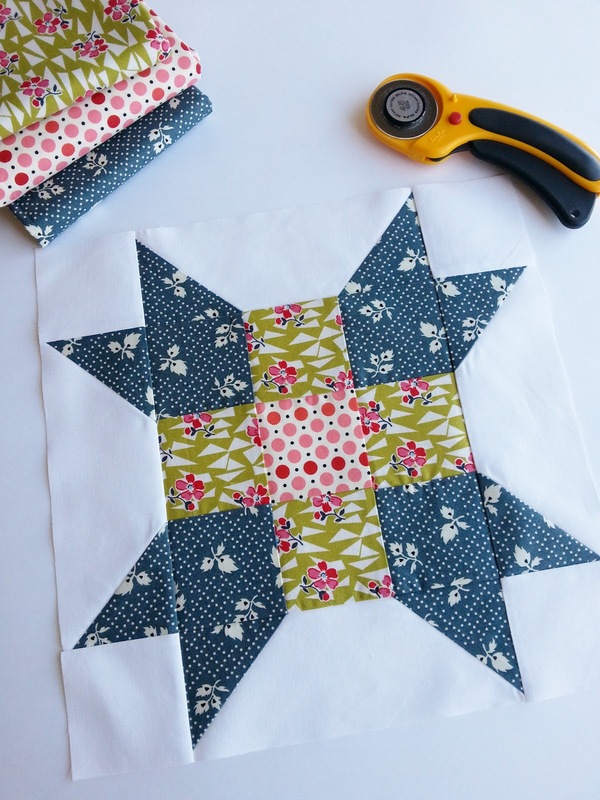 When I made my block I ended up using the tutorial from knotty gnome, but I've also pinned a paper pieced tutorial from Don't Call Me Betsy, and a cute little 6 inch version from Bee In My Bonnet. I definitely had some troubles while making this block. I've thought for awhile that my 1/4 inch mark on my machine is eversoslightly off so it's making my block-making a frustrating experience. I'm planning on using this block for my June Sew Pieceful blocks, so when I make it en masse I'll probably try the paper pieced method instead. What gorgeous blocks! I've just been checking out your blog and see you are relatively new...welcome to blogging! I look forward to reading and seeing more of your work. I don't suppose you made note of the measurements you used to create the 12.5" block? ?